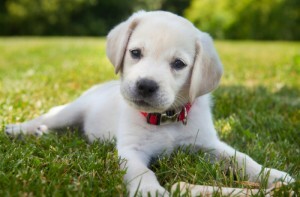 When your puppy is eight to 12 weeks old, it is the perfect time to start training them, as this time is when they begin to form most of the habits that they’ll have into their adult life. By giving them the right start, you are laying the groundwork to have a more successful and rewarding relationship with your dog for the rest of his or her life. In addition, puppies begin to develop behavioral issues like separation anxiety, digging, and chewing at this age, and it’s important to stop these inclinations as soon as possible. Our Cincinnati puppy preschool will go through everything your new friend needs to know to be a good dog. This includes housebreaking, socialization, basic commands (sit, stay, come, down, etc. ), and correcting jumping, chewing, digging, and other behavioral issues. We do our best to make puppy preschool an easy and fun experience for both you and your dog! Don’t wait until issues get worse! Feel free to call us now even if your pup doesn’t yet meet the above requirements … We can always at least get you on the schedule! The cost is $299 for the first three basic weekly lessons (most common) and $75 for each lesson after (adding on extra commands or working on specific behavior issues). After your puppy has completed the puppy training classes, look at our other options to continue training. We offer some of the best dog training from the puppy years through the adult years.